Two foundations pledged Tuesday to contribute $20 million over five years to organizations in the transgender movement, officials told BuzzFeed News, an unparalleled philanthropic donation to improve quality of life for transgender people around the world. The dispersement could be a transformational windfall for groups with causes recently enjoying increased visibility — and growing backlash — but have historically had meager financial resources. Beginning in 2016, the money will be awarded mostly to U.S. groups that focus on transgender issues or are led by transgender individuals, rather than organizations that include transgender issues as part of a broader agenda. The project will expand internationally in following years, particularly in poorer and developing nations. Among the goals: quelling a rising tide of violence against transgender people, increasing job opportunities, and boosting long-term inclusion of transgender people in society. The Arcus Foundation, which gives to social justice and human rights causes, will contribute $15 million. The NoVo Foundation, which focuses on girls and women, will give $1 million. A coalition of other foundations will give the remaining $4 million. “We anticipate that other funders will join us,” McGill added. The money will substantially increase overall funding for transgender-focused organizations. A February report by Funders for LGBTQ Issues examined grants from U.S. foundations for domestic and global transgender and intersex issues. It found transgender groups received $13.6 million in the three-year-span of 2011 to 2013, which was 7% of funds awarded to LGBT issues in general. McGill said the funds will be awarded with guidance of transgender leaders and activists, who will help identify programs and organizations that can advance long-term agenda for trans rights. 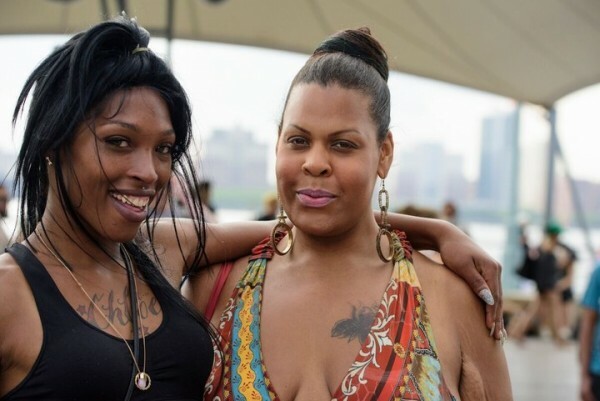 The project’s ambitions include increasing understanding of transgender people, expanding pathways to economic sufficiency for a chronically underemployed population, and promoting long-term philanthropy of the transgender movement. Despite the skyrocketing prominence of transgender people, many services and policy protections lag. Trans people are far likelier to live in property, be unemployed or homeless, and discriminated against in the workplace or housing than their cisgender — the term for people who are non-transgender — counterparts. In politics and crime, transgender people have increasingly been used as scapegoats by conservatives who oppose LGBT nondiscrimination laws — critics routinely claim such laws allow “men in women’s bathrooms” to act as sexual predators — while homicides of transgender women in the U.S. doubled over the past 12 months. Globally, 1,700 transgender murders have been reported in the past seven years, according to Arcus data. Arcus has long played a key role in funding the transgender movement — while also funding a wide range of LGBT causes — with over $10 million in grants for trans-focused over the past 15 years. In the first three quarters of this year, Arcus granted more than $1.7 million dollars to transgender-specific issues. The newly announced money will be in addition to those figures. Roz Lee, director of Arcus’s social justice initiatives, said that baseline level of funding will continue independently from the new contributions. She said much of the new money will go to groups with budgets of $100,000 or less, while increasing the capacity of larger groups to support their long-term sustainability. “Support from foundations like Arcus, which started long before anyone was discussing Caitlyn Jenner or a ‘trans tipping point,’ has been critical to building a strong and resourced movement that could survive to see the moment of unprecedented visibility and unprecedented violence we face today,” said Transgender Law Center executive director Kris Hayashi told BuzzFeed News. The funders will begin accepting applications for proposals by mid-2016, Lee said, and start dispersing money by the end of that year.